In this issue we are proud and honoured to feature a 1997 unpublished poemversion by the late Edwin Morgan of his drama The Play of Gilgamesh, based on the Sumerian epic. We are very grateful to Edwin Morgan for offering us this poem, and to James McGonigal for his generous help in tracking down and copying the typescript; also for his Introduction to the poem and for an essay adapted from his recent biography Beyond the Last Dragon: A Life of Edwin Morgan (Sandstone Press, 2010). While living in Glasgow last year, I discovered a friendly and welcoming poetry scene in the city. It was at one of David Manderson’s fortnightly Reading Allowed evenings at the Tchai Ovna House of Tea that I met Alexander Hutchison and learned of his own long association with Edwin Morgan. We are delighted to include long poems by both James McGonigal and Alexander Hutchison. Later in the year I attended the launch of Modern Poetry in Translation at the London Review Bookshop and met the remarkable exiled Iraqi poet Adnan al-Sayegh. I invited Adnan to submit to Long Poem Magazine and over the next few months Stephen Watts and Marga Burgui-Artajo worked hard on a new translation of his work. In a recent interview Al-Sayegh was asked what he considered to be the main themes of The Epic of Gilgamesh, and what parallels there might be with Iraq’s recent history. He replied that the oldest epic ever written ‘reveals controversial elements in the personality of the hero Gilgamesh, as well as in that of the Iraqi individual: extreme cruelty on one side, tenderness and love on the other.’ But this is surely an indictment of all men and women, irrespective of race, nationality or creed – in the words of Ivo Andrić: You should not be afraid of human beings. – I am not, only of what is inhuman in them. In one of his biographical stories awaiting English language publication, Al-Sayegh relates a horrific incident that occurred while he was conscripted in the Iran-Iraq war, which ‘offered me an eloquent example of the secret play of coincidences … [and] revealed how skilfully chance plays in our lives’. 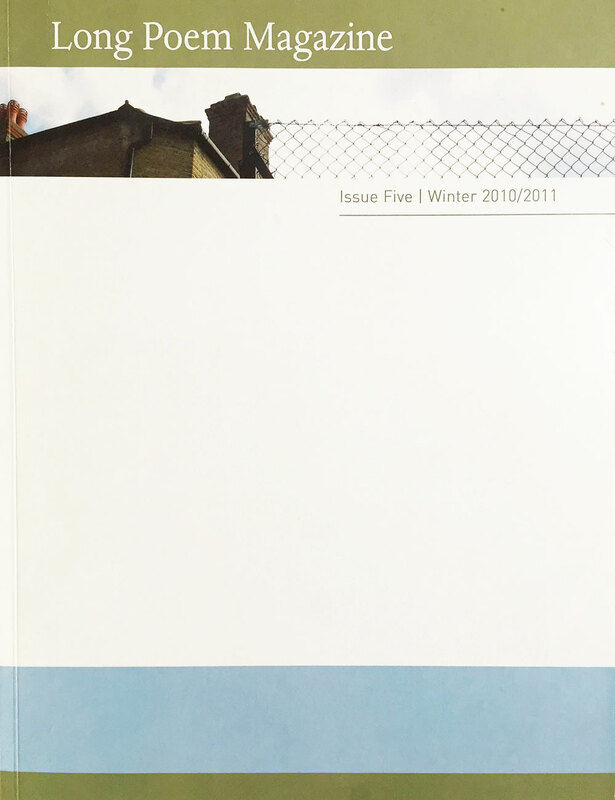 The inclusion in this issue of work by Edwin Morgan and Adnan al-Sayegh is a happier consequence of coincidence and chance. We would like to thank everyone who contributed to our fundraising Christmas Party and online auction to pay for the many extra pages required to publish the whole of Edwin Morgan’s poem, as well as the other fine poems and sequences from well-known and emergent poets. While never restricting our range to a specific theme, for Issue Six we particularly welcome submissions of dialect poems. Our overall aim is to continue expanding and to increase subscriptions by every means, and as funds permit. On March 22nd 2011 the Scottish Writers’ Centre is hosting a Scottish launch of Issue 5 at the Centre for Contemporary Arts, Glasgow. The event will feature a special performance-reading by Tam Dean Burn of Morgan’s poem-version of Gilgamesh, as well as readings by James McGonigal, Alexander Hutchison, Adnan Al-Sayegh and Stephen Watts. We would like to thank SWC for their hospitality and, once again, James McGonigal for his efforts on our behalf. Looking ahead, we hope to take the magazine to other poetry-friendly towns and cities. We trust that our readers will continue to enjoy, subscribe, and be enthusiastic ambassadors for LPM. Reproduced from Concrete Poems (1963–1969). We are grateful to Michael Schmidt at Carcanet Press for permission to publish Edwin Morgan’s poems.